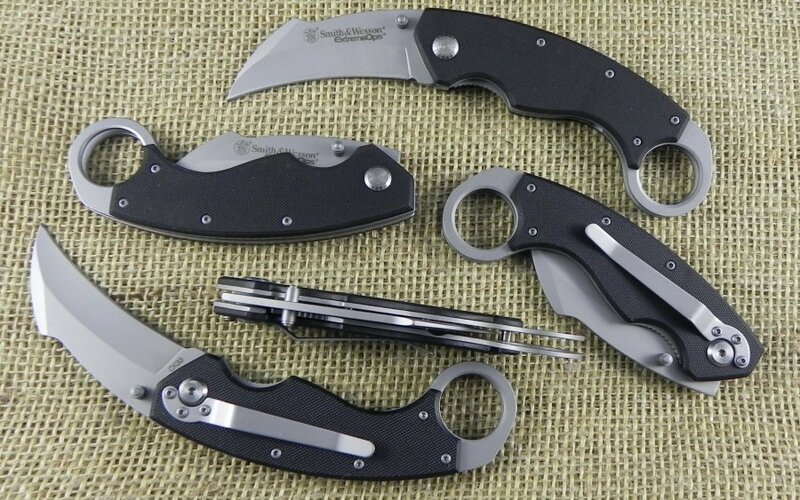 S&W Karambit. 5 3/8" closed framelock. Matte finish stainless slashing blade with ambidextrous thumb studs. Black G-10 handles with index finger ring. Stainless pocket clip.